Mando Corp. has announced the addition of a Mando-branded complete strut assembly program for Hyundai and Kia applications. Mando will launch its complete strut program with an initial offering 32 part numbers, providing coverage for Hyundai and Kia model years 2001-2016. “We expect the first shipment to arrive at our California facility sometime in February 2019 with additional part numbers to follow shortly thereafter,” Mando CEO Brandon Song said. 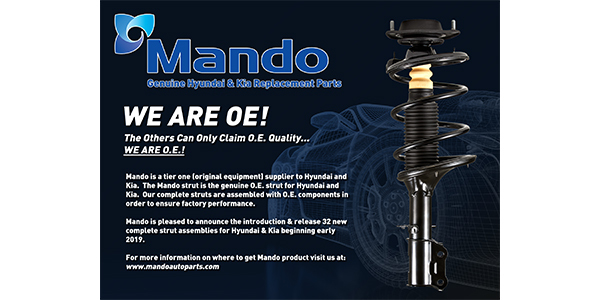 Mando struts are the original factory equipment supplied to Hyundai and Kia. The complete strut is assembled with OE components. 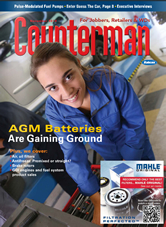 For more information, visit the Mando website.